As you've noticed dear readers of this blog I do not post in English. Take it as a free English training : marketing is an English word after all, and we must learn from foreign company to serve better our customers. You will discover today Ran Achituv's answers to my questionnaire. He is Senior Vice President, Customer Interaction Analytics at Verint Systems / Witness Actionable Solutions, a world wide leader, in "Actionable Intelligence solutions". Their solutions enable organizations of all sizes to make decisions to improve enterprise and employees performance. More than 10,000 organizations in over 150 countries—including over 85 percent of the Fortune 100 use Verint solutions to capture, distill, and analyze complex and underused information sources, such as voice, video, and unstructured text. This may sound a little technical for some of you but it illustrates the new concerns regarding unstructured data that I developped in my 2011 trends' post "the customer will be blurred" an the need for understanding the ever-changing customer behavior. 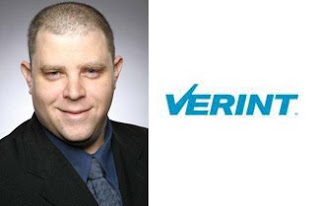 Ran Achituv, running the global Customer Interaction Analytics business at Verint. With the company for over than 10 years from just under 100M$ when I joined to over 700M$ today, been quite an exciting ride. What’s unique and so amazing about what we are doing is that we capture and analyze unstructured information sources, such as voice, video, and text that were never accessible before in an intelligent and scalable way. 80% of all corporate data is unstructured and all sources of the Voice of the Customer like phone calls, emails, chat, customer feedback and social media are unstructured. I have 3 kids, live in Israel but awake across all global time zones. First and foremost the company needs to put customer care and experience at the top 3 corporate strategic goals; it is becoming more common but there is definitely more room for improvement. It needs to come from the top down and a good example for this trends is the growing number of companies that appoint a CCO – Chief Customer Officer. This is necessary but not sufficient – the company needs to both systematically listen to its customers to gain insight and be able to effectively drive change across the organization to make an impact. Oracle is using a new tagline for the good-old CRM; they now call it CEO – Customer Experience Optimization. They claim that CRM has evolved from managing customer data to 'CEM' - Customer Experience Management, and for true market leaders it is moving towards 'CEO' - Customer Experience Optimization. It is obvious that you can’t run a large operation without a CRM system; but rare are the cases where the huge investment in setting up the best-of-breed CRM solutions yielded the anticipated ROI. What the CRM system is missing is real-unbiased input and insights mined directly from the Voice of the Customer; all the structured data currently sitting in the CRM system represents the world as the organization thought it is a year ago (best case with the IT update cycles) and it is being fed by other systems and by biased agent input. Think of the possibilities that unfold by bringing to an executive meeting a chart that correlates all of the company’s products and service and what customers like, don’t like, have problems with, would like to see etc… and be able to update that chart on a daily or even hourly basis. A company’s most valuable assets are its customers – and there is an enormous goldmine hiding in the multi-channel interactions with the company. O2 Ireland leverage Speech Analytics to spot trends and opportunities, identify and respond to the root causes that result in unnecessary calls for customers, and gather key market intelligence. O2 Ireland initially deployed the solution within its billing team to identify issues that were driving calls into the call center. With Impact 360, O2 Ireland was able to determine that many calls were related to customers getting locked out of their accounts during the password-reset procedure. According to O2 Ireland, fixing that process alone has already yielded an estimated 6,000 less calls per month, freeing up valuable agent capacity for other key customer service activities. Impact 360 Advanced Speech Analytics also has proved invaluable in analyzing calls from O2 Ireland’s trial e-billing customers. This insight is supporting the business as it progresses towards achieving its €1 million savings goal for this important initiative. Pour autant....nous, pauv'professionnels du marketing de la relation client avons déjà suffisament de mal à le faire en français !!! !